Disney Donna Kay: A Magical Day in the Magic Kingdom with Lisa of Home is Where the Mouse is. A Magical Day in the Magic Kingdom with Lisa of Home is Where the Mouse is. Hello, I’m Lisa; the mom voice behind Home is Where the Mouse. I love my family and love sharing our adventures both at Disney and at home with our readers. Creating magical moments with my two kids Bella and Jackson, has helped me to be a kid again. When I’m not blogging, I’m a devoted reading teacher, motivating struggling readers to enjoy reading. I also LOVE to plan parties and movie nights, cook and drink way too much coffee. I consider myself a non-runner, but I am training for the Princess Half Marathon, my 3rd runDisney race. Our family just returned from a 10-day Disney vacation, celebrating our 10 year wedding anniversary. As Disney Vacation Club Members and Annual Passholders, you would think we’ve done it all. Not true! When it comes to Disney, it’s almost impossible to have the same vacation twice. This past vacation was filled with Disney Firsts including a first time stay at Disney’s Wilderness Lodge. Since becoming parents, our touring strategy has changed slightly. We’ve learned to slow down and go by our kids’ pace. But one thing that hasn’t changed is how long we stay at the parks. We are rope drop to close type people. For us the hassle of dragging the kids plus all of their gear back to the hotel is exhausting. Instead we opt to take breaks in the park, grabbing a snack, finding some AC, or letting the kids cool off in one of the splash areas. Of all our days at the parks this past trip, our most typical was our first day at the Magic Kingdom. Come follow along! Our typical Disney day starts with a great breakfast! On this day, we went to 1900 Park Fare for their Supercalifragilistic Breakfast. James and I hadn’t been there since before we were married and it was the kids first time! This buffet had the best character interaction of all the character meals we had on this trip. Time with the Mad Hatter alone was money well spent. I, of course, had to make sure I got a picture with my favorite bear, Winnie the Pooh. From there, we hopped aboard the Monorail to the Magic Kingdom. While we missed rope drop, we arrived in time to take advantage of the short post opening lines. Like usual, we made a bee line for Fantasyland. We were able to ride most attractions with little to no wait which is awesome for mid-summer! Next it was time for our Fastpasses. We purposely made them for noon and after since we knew the lines are shorter in the morning. First was Splash Mountain (can’t you tell how much I love it). Then it was Haunted Mansion. Finally, my favorite ride in Magic Kingdom, Winnie the Pooh! Between our Fastpasses, we took a quick break. Stuffed from breakfast, we chose to snack instead of stopping for lunch. We treated ourselves to a Mickey Pretzel and a Churro before continuing on. Unfortunately, as it does most afternoons in the summer, it began to rain. Luckily we were headed to the new Aloha Isle for a mid-afternoon Dole Whip (can’t you tell we like to snack). We hung out there until the rain passed. The rain didn’t last long, but it did inevitably cancel Festival of Fantasy for that afternoon. Here is where we broke tradition and headed back to the Wilderness Lodge for a break. Staying so close to the Magic Kingdom and knowing we would be back there 2 more times, we thought it was a great idea. By the time we got back, we only had time for a quick relax and dinner before heading back for our evening Fastpasses and Main Street Electrical Parade. We love the Magic Kingdom at night. The whole place is transformed into a twinkling wonderland! By far our favorite thing to do at night is watch Main Street Electrical parade. With no available space on Main Street, we headed back to Liberty Square and snagged a spot in Liberty Square. Usually, after the parade we would find a spot to watch Wishes. But, since we had seen them the night before during our Pirates and Pals Fireworks Cruise, we went to Tomorrowland to ride Buzz Lightyear. After that, we ended our night by taking the boat back to the Wilderness Lodge. With a magical day in the books and another on the horizon, we got some much needed rest. www.homeiswherethemouseis.com and @homeisthemouse on Instagram and Twitter. First of all, how adorable is this family?? They are so stinkin' cute!! Wouldn't you love to tour Magic Kingdom with them? Thanks so much for sharing your family's day Lisa!! 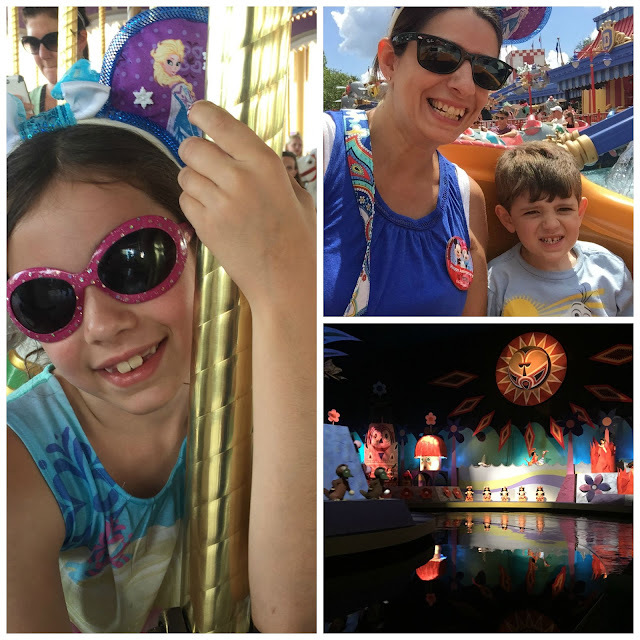 Be sure to visit Home is Where the Mouse is for more of their family fun, and more of their awesome Disney adventures. If you love my Disney Party Boards you have to visit their blog, they have epic Disney celebrations! You can find Lisa and James on Facebook, Twitter and Instagram too! P.S. 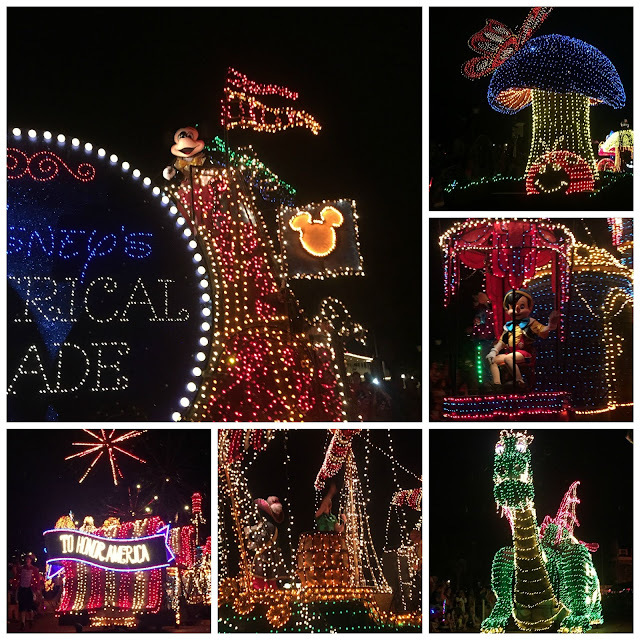 If you're ready to starting planning your own Magical Disney Vacation, I would love to help! Want all the best tips and tricks for making the most of your Disney vacation? Overwhelmed by all of the information that's out there? As a member of the Guru Travel team, I will help you plan your most Magical Vacation ever!! I will work with you to create a realistic budget to fit your travel needs, help with advance dining reservations, daily itineraries and FastPass+ choices, then I send a personalized itinerary book filled with tips from my personal experience traveling to Disney with your final documents. If you are considering a trip to Disney email me at donnakay@thewdwguru,com, call me at 877-825-6146 ext 706 or click the button to the right for a quote sheet. 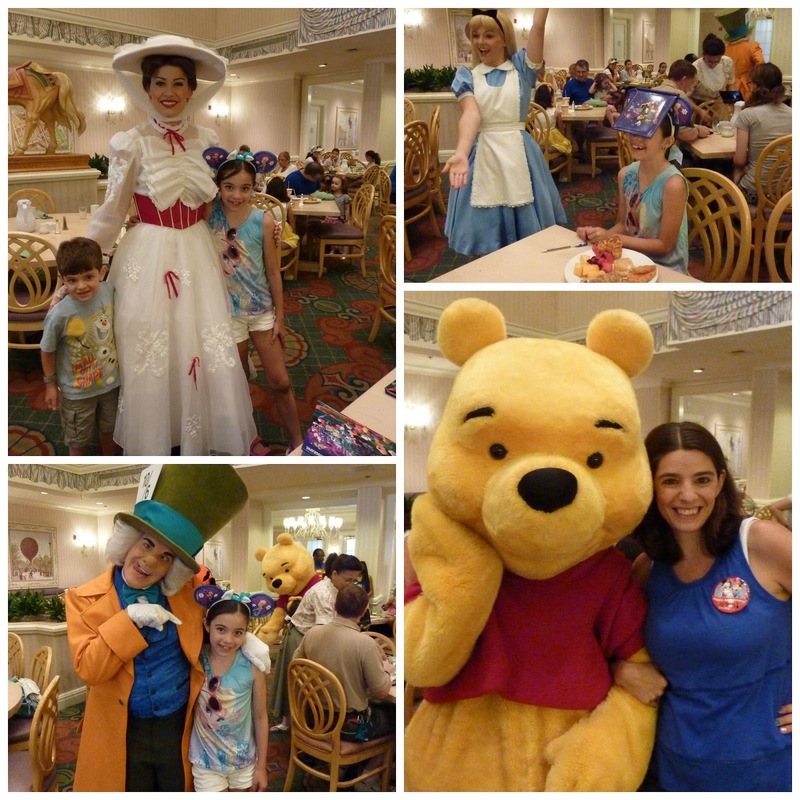 I will be back in touch right away so we can plan the perfect Disney vacation for your family within your budget. This looks like one SWEET day at Walt Disney World Lisa! (I now need that cupcake!!) From morning to night, you experienced, enjoyed, and nibbled it all. Donna, I absolutely agree- the Cameron family is just the cutest around! They are adorable aren't they Donna? I would spend any day in the parks with them! !